Weather science has come a long way since Galileo first unveiled the thermometer in the late 16th century. But as sophisticated as today’s weather instruments have become, they are still no match for the surprises caused by the onset of climate change. One day might be relatively mild and comfortable, only to be followed by the shrieking howls of a snowy blizzard the next. So it is wise to keep track of day-to-day weather patterns and also keep a few creative heating tricks up your sleeve during unpredictable winter weather! We hope these creative heating ideas, gleaned from decades of serving our wonderful clients and learning from each other, will keep you toasty warm throughout these coldest months of the winter season! During the cold season, having to brave the icy floor beside your bed begins to look like a legitimate reason to not get up. One easy way to feel warmer right away is to make sure your feet meet a warm and fluffy rug first thing in the morning. And there’s more than just a soft footfall as a benefit, too! Many floors, especially old-style real wood floors, come complete with micro-cracks and leaks that let precious heat escape outside. As much as 10 percent of your heat can escape in this way. Laying down area rugs in winter ensures that all that toasty warmth you are paying for stays in your house to benefit you! In the same way that rugs can keep warm air from making a run for it down through your floorboards, curtains can keep that same air from hightailing it outside via the small cracks in weather stripping or caulking around your windows. Curtains just add another layer of warmth that is much-needed during winter, and the new breed of curtains often comes with a thermal lining that actually traps the heat inside. If you have a particularly drafty door, you can also use a temporary curtain rod and install some inexpensive thermal-lined curtains (or even a shower liner) across the door to keep the warm air from escaping. Of course, it goes without saying that if you luck out and winter sends a particularly sunny day your way, be sure to open those curtains to soak up the sun while it lasts! Humidify – Every Chance You Get! Adding humidity to the dry indoor air of the cold season can help the inside of your home feel a few degrees warmer without you having to crank the thermostat. For this reason, you should humidify every chance you get using natural sources. Examples of natural sources of humidity include taking a shower or bath with the door open, boiling water on the stove for a while, and even using the “steam” setting while you iron! You can also purchase a portable or whole home humidifier for exactly this purpose. When you add humidity into the dry winter air, it also helps your immune system fight off cold and flu germs more effectively, and it protects wooden home furnishings from the danger of cracking due to extreme dryness. Your warm indoor air is a veteran escape artist. If it is not trying to sneak out through leaks and cracks around windows and doors, it is quietly exiting via floorboards or your chimney flue, where it then whooshes out through the leaks in your damper. A flue plug helps your damper keep the warm air in. This inflatable device is inexpensive and can be found at most home goods stores. All you have to do is inflate it and put it in place. Removal is as simple as deflating it for storage. Sometimes feeling warmer inside your house is as simple as moving a sofa! If you have furniture or furnishings blocking your air registers or radiator pipes, that is where your heat is going as well. Your sofa might feel quite warm and toasty, but the rest of your household is shivering. Here, not only will the physical activity of moving the furniture warm you up right away, but you can look forward to better flow of warm air through each room after you are done! In this age of decluttering mania, it seems odd to suggest clutter is good. But in the case of adding warmth to the rooms in your home, it really is good! Every layer that you add to your walls, whether in the form of a framed poster, a wall mirror, a bookshelf, a hanging tapestry, or some other decorative accent, is another form of insulation that blocks the chill outside. Ceiling fans typically have a two-way switch: one direction is for summer use and the other direction is for winter use. The winter setting pushes the rising warm air back down into the central area of each room to keep it warmer for longer, to the point where you literally can get twice your money’s worth for the heat you pay for. At about this time each year, your heating system has been working overtime to keep you warm and comfy. If you didn’t have your winter tune-up this past fall, or you can’t remember the last time you had your furnace inspected and maintained, you could shave some valuable dollars and cents off the remaining months of heating bills by scheduling this inexpensive, money-saving service! 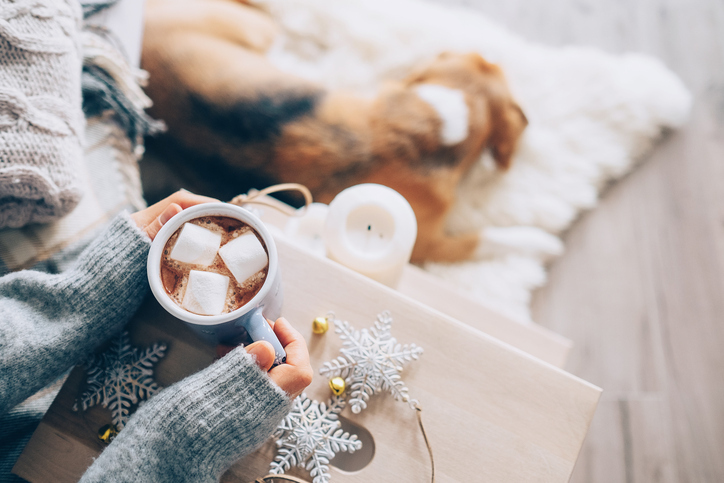 If there is one thing we love here at Shipton’s Heating & Cooling, it is helping our wonderful clients stay cozy and save money! Give us a call at 905-549-4616!